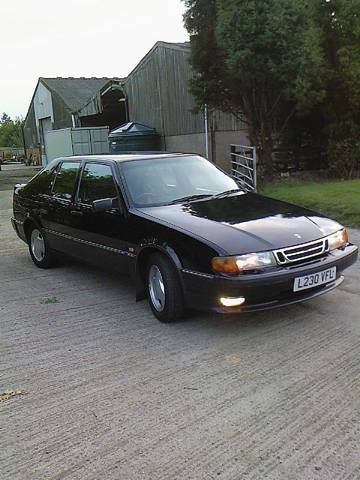 at the age of 21, after 4 years of driving stupid, cheap lil saxo"s ive finally got the car ive always wanted since i was litle lad, my 1st saab!!! all those years of sitting in the passenger seat of my dads old 900 turbos, and then 9000"s (now a red 97, 9000 aniversery 2.0lpt......lovely car!) ive finally got my own!!! A basic 1994 2.0 cse. with 160,000 miles allready crused, its still ssooo dreamy, comfortable, and effortless to drive. and im still looking for the first sine of any rust! even if i say so its in very, very good nic for a 15 year old car! ...........LOVING IT!!! !